Celebrity wedding dresses, whether simple or bold, always manage to sweep us off our feet. 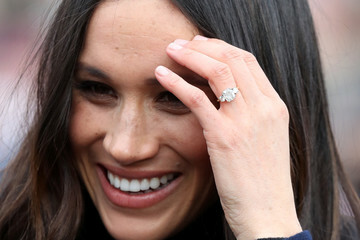 Sure, learning about the proposal and how many carats the ring is can be exciting, but there's something magical about seeing our favorite stars walk down the aisle in a (most often) custom designer look. Take Miranda Kerr's intricately crafted Christian Dior Couture gown, for example: Everything from the floral headpiece down to the vintage-inspired floral appliqués exuded refined glamour. It's clear that each of these celebrity brides put an incredible amount of thought into their dress, allowing the world to escape into a sartorial fantasy just by looking at the pictures from the big day. Ahead, we've ranked our favorite celebrity wedding dresses from simple yet chic to extravagant and over-the-top for your viewing pleasure. Which is your favorite?